This stylish five bedroom detached family home is located on the popular Forest Edge development recently constructed by the well regarded Bovis Homes national builder complete with the remainder of the 10 year NHBC Buildmark warranty. The well planned layout combines open plan family living space in the kitchen & dining room with separate study and lounge to retreat too. The property also has five first floor bedrooms, two en-suite shower rooms and a family bathroom. 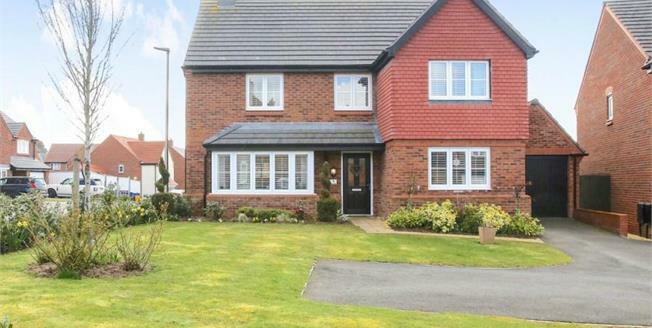 Externally the superb plot has driveway parking to the front for several vehicles leading to a tandem garage and onto landscaped rear gardens that aren't directly over looked.